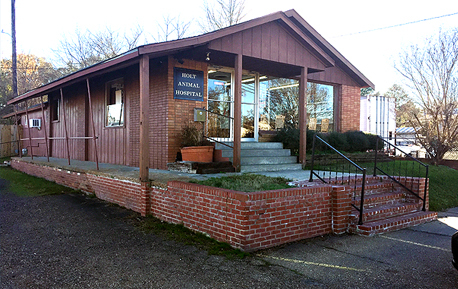 Holt Animal Hospital is a full service pet hospital in Canton, Mississippi. We have full boarding and grooming facilities available for a comfortable stay with us. We offer space for small kittens and puppies, as well as medium and large breeds. No need to worry about them getting homesick, our caring and compassionate staff will keep them occupied by playing with them and walking them every day. Plus, in the unlikely event they should become ill you have the comfort of knowing that Dr. Holt is only a dog whistle away. Holt Animal Hospital also offers these other services: Digital Radiography, Lab Diagnostics, and temporary homes for your extended family members when you are away from home or just need a break. View our complete list of services to learn more about what services we offer. At Holt Animal Hospital, we recommend a puppy’s first vaccinations be given in four (4) increments; this allows the puppies system to slowly absorb it into their body, creating a stronger barrier against disease. The increments are given starting at age 6 weeks (1st shots), 9 weeks (2nd shots), 12 weeks (3rd shots & rabies) and 16 weeks (4th shots & bordetella). At this age Dr. Holt will recommend a heartworm preventative for your puppy to protect against the number one killer in our canine family, heartworms, which are transmitted through mosquito bites. Holt Animal Hospital also recommends annual wellness exams, heartworm tests, and dentals. Payment is required at the time service is rendered for your pet. We accept all major credit/debit cards, check or cash. ID is required.